During your initial visit, our doctors will listen to your history and description of your pain and other concerns. 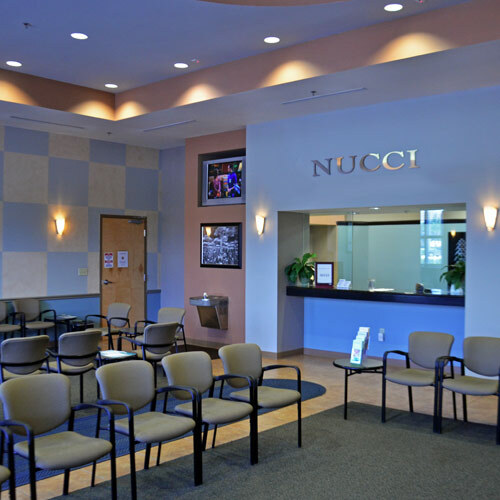 They will perform a physical exam and order appropriate tests, such as X-Rays and MRIs of your spine and other areas of the musculoskeletal system (such as knee or shoulder), if needed. After a careful consultation with you, our doctors will formulate a diagnosis and decide what treatment plan is best for you and your specific condition. Your pain will often subside with the conservative treatment plan indicated for you. However, if conservative treatment options fail or provide minimal benefit, our doctors may indicate surgery. At that time, you would attend a visit in our office known as surgery consultation and discussion. The visit lasts approximately 45 minutes in length. You will view a detailed video about the procedure which will also be available on our website. If you decide to proceed with surgery, we provide a surgery date and help arrange for all the preoperative testing and medical clearance, if necessary.